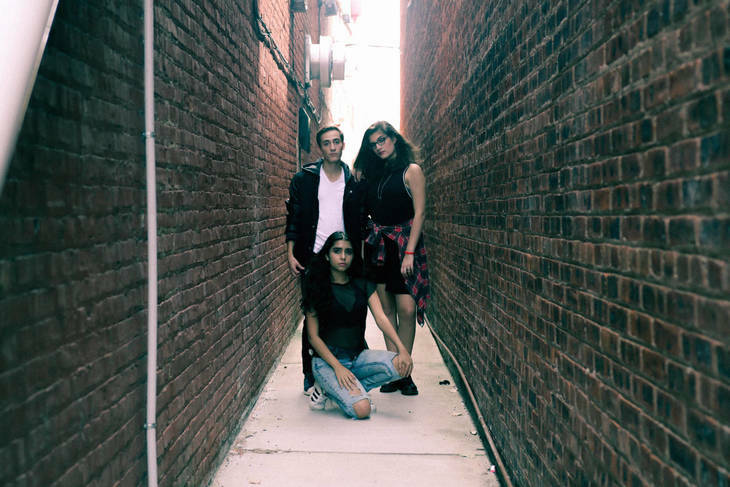 MILLBURN, N.J. — Three Millburn High School juniors are among 18 finalists in the New Jersey Shout Down Drugs Music Contest and the community can help vote them to victory. Danielle Benna, Kyle Farscht and Jessica Yeager, the trio known as Powdered Elephants, wrote an original song with a drug prevention theme made the finals as a wild card. Their song "Monster" is vying for the top spot in the opening round of voting to secure an automatic berth at the Prevention Concert. The top three winners compete for music contracts worth $5,000, $3,000 and $2,000 and will perform their songs throughout the year at different events. "Being selected as the wild-card/wild card for this song competition is very exciting and it gives us the opportunity to showcase our meaningful song in front a large live audience, As the lead singer, I have the honor of expressing the powerful lyrics and hopefully send a positive message to kids which are currently affected by drug use." Said lead singer Benna. Farscht added, "We want to create a positive mindset and influence teens to not use drugs. The song comes from the perspective of an addict turning their life around and facing a better future." Powdered Elephants is a pop alternative group with Benna on lead vocals, Farscht performing on keyboard, producing and writing both the music and lyrics. Yeager plays guitar and ukulele for the group and also writes music and lyrics.